Upholstery Cleaning. Plano, how does your upholstery look? Upholstery cleaning. Plano, good furniture gets a great deal of use over time, and that means stains, dirt and dust, unpleasant smells, and general wear and tear. But if you keep your upholstery clean and like new with proper cleaning, it will keep you and your family comfortable for years to come. 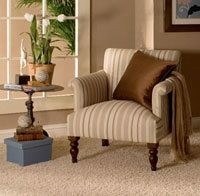 Depending on the material your upholstery is made of, you may be able to perform deep cleaning with a steam cleaner or have it dry cleaned with a special solution every year or two. But, most upholstery can also be spot cleaned with special cleaners. All of it can get basic cleaning with a vacuum and brush. Performing regular cleaning specific to your upholstery’s material will help keep your furniture clean, dust-free, and ready to use! Why you should have a professional upholstery cleaning in Plano..
A professional specializes in upholstery cleaning, they clean multiple kinds of different upholstery weekly. They deal with all kinds of fabric. Certain types of fabric can be sensitive to certain cleaners or even water. So it’s good to know what type of fabric the upholstery is made of before attempting to clean it. So, why attempt to ruin your beautiful couch over trying to clean it yourself? I wouldn’t recommend it. A professional can handle your furniture with care, returning the luster leaving your furniture clean and dust free. If your thinking of cleaning your upholstery and are wondering who to call. Ultra Clean Floor Care has you covered with their 10 step process. With this 10 step process, you can’t go wrong. So, when your ready for your upholstery to be cleaned give Ultra Clean Floor Care a call at (214)-998-3715. Their IICRC Certified Technicians will restore your furniture to that like new condition leaving your couch dust free and ready to use. Remember it’s only clean, if it’s Ultra Clean.